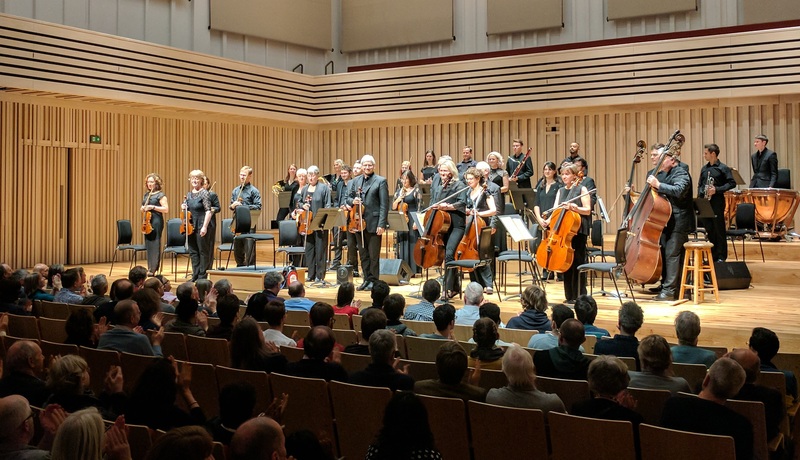 Mind Music is a project by the Northern Chamber Orchestra exploring the effects of live music on people living with dementia. The NCO developed Mind Music to raise awareness of dementia, and the project work ranges from high-profile fund-raising concerts to working in care homes as part of therapy, while generating crucial data for research into how music can improve and repair cognitive functions. The NCO are working with the Faculty of Health, Psychology and Social Care at Manchester Metropolitan University, providing one of their undergraduates with the opportunity to work on real-world projects alongside experienced researchers from the Faculty. Read more about the project here. We have also worked alongside the All-Party Parliamentary Group on Arts, Health and Wellbeing, which aims to improve awareness of the benefits that the arts can bring to health and wellbeing. You can read the report here. The loss by members of the Orchestra of close family members or friends led the NCO to create a programme of music written by composers who either had dementia or were influenced by their experiences of it. This led to a highly regarded CD, conducted by Stephen Barlow, Artistic Director of Buxton International Festival. You can read more about and purchase the CD here, and proceeds will help support the work of Parkinsons UK. Mind Music supports Parkinson’s UK, the Alzheimer’s Society and the PSP Association, which supports people living with Progressive Supranuclear Palsy.